By: Daniel Reynolds So here’s how free agency works in the NBA: at the stroke of midnight on July 1 in a given year, teams are allowed to negotiate contracts with players who are currently without. With an (oral/handshake) agreement in place, there’s a moratorium of exactly one week and then at midnight, agents, lawyers and notaries and all those fun people jump in, pen hits paper and contracts are signed. That’s how it works… usually. Last night, after a week of back-and-forth reports, a surreal series of events played out involving the Los Angeles Clippers and the Dallas Mavericks. The former team was looking to keep its roster together, the latter gunning to sign one of the biggest names on the market. At the epicentre of it all: 27-year-old free agent centre DeAndre Jordan. 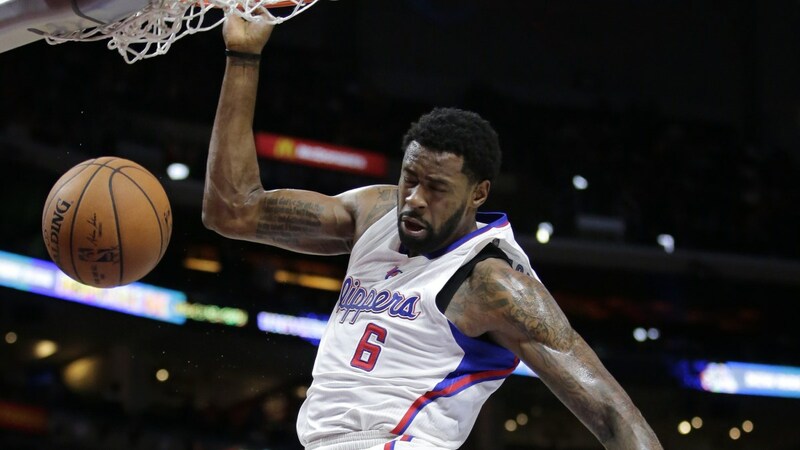 DeAndre Jordan doing what he does best. Jordan’s NBA career has been something to behold. Drafted 35th overall in the 2008 NBA Draft, he’s gradually grown into a monster big man after seven years with the Clippers. Last season, Jordan averaged 11.5 points (on 71 percent shooting!) and a league-leading 15.0 rebounds. He also chipped in 2.2 blocks per game and became the kind of deterrent in the paint that gets you on the NBA All-Defense team. (He made that squad for the first time last year.) He has also missed exactly zero games over the past three years–which included runs into the playoffs each time (to the second round at best, but still). The Dallas Mavericks are, as has become their custom, an ageing team. Their best player is, as is also the custom, Dirk Nowitzki, the 37-year-old wunderkind from Germany. After that they’ve got essentially one young gun in Chandler Parsons and a host of hodge-podge parts to fill out their roster (J.J. Barea! Devin Harris! Raymond Felton!) Their coach is mastermind Rick Carlisle, who year after year has to figure out a way to hide the obvious holes in his lineup afforded by owner Mark Cuban. This is where things get interesting. Dallas is looking to reload, and after guards Monta Ellis and Rajon Rondo walked and centre Tyson Chandler signed with Phoenix, they went after shooting guard Wes Matthews (coming off an Achilles injury) and Jordan. So, in went Parsons to charm Jordan with dinner not once or twice, but five times. 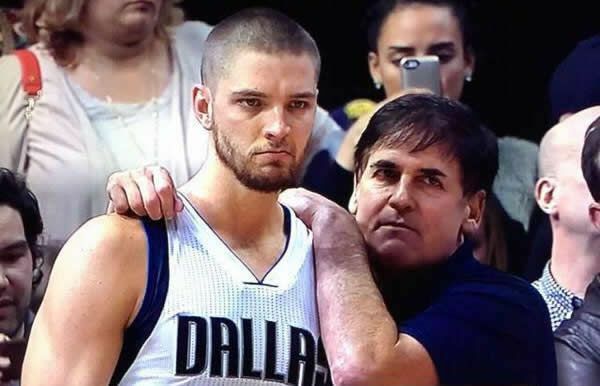 A deal was struck in principle and suddenly the Mavericks had their starting centre. Then, they nabbed Matthews with, at least in part, the understanding that they’d secured Jordan. The Mavericks were still far from championship contenders, but they’d signed some skilled (young) players to help them now and in the future. Or at least that’s what Cuban and the Mavericks crew thought. Now we get to the entertaining part. After Jordan signed with the Mavericks, reports surfaced that part of the reason he left Los Angeles was to get away from Paul, who may or may not be something of a prick on the court. We learned that Jordan hates getting left out of high fives. Paul opted not to attend the meeting Jordan had with the Clippers’ brass. He was busy on a banana boat with Lebron James and Dwyane Wade. The meeting was a disaster. And with Jordan gone, the Clippers were now looking at centre options like Cole Aldrich or (gulp) JaVale McGee. This is not how you contend for a title. So what did the Clippers do? They called in the troops for a second try. Now, in the days of yore, this would all be happening behind the scenes. Maybe a beat reporter would figure out the travel plans of a bunch of NBA players and piece together what was happening. But this is 2015, so instead we get this: emoji announcements. Those are Jordan’s Clipper teammates (Blake Griffin, J.J. Redick, Paul and newly signed Paul Pierce–with, presumably, coach and GM Doc Rivers there as well) coming in for the rescue. The moratorium was to be lifted by midnight last night and they had to make a last ditch plea to get Jordan re-signed. This all happened in real time, with the reports going by on Twitter into the night. The Clippers basically barricaded themselves in Jordan’s house to keep out Cuban or the other Mavericks. The clock was ticking. For an off-season that has been marked by an absurd amount of player movement, big contracts and vague math regarding a salary cap increase, this was the night that proved the NBA truly is the most entertaining league. It had it all–last minute decisions, huge player politics and fallout, and best of all, a running commentary from both inside and outside the action. There is no other sport that can drive a conversation into such absurd and surreal places (with the awareness of the players, no less!) For this to all congeal around Jordan, a player of, let’s face it, relatively one-dimensional skill, on a team that is still a move or two away from being true title contenders, says it all. What will happen next year when Kevin Durant becomes a free agent? Will we see a player get kidnapped? Moved into a fortress? Where does it end? One thing is clear: even without games, the NBA and its fans are having all the fun. I was so entertained! does anyone still take Broussard seriously? After this latest episode, I hope not.